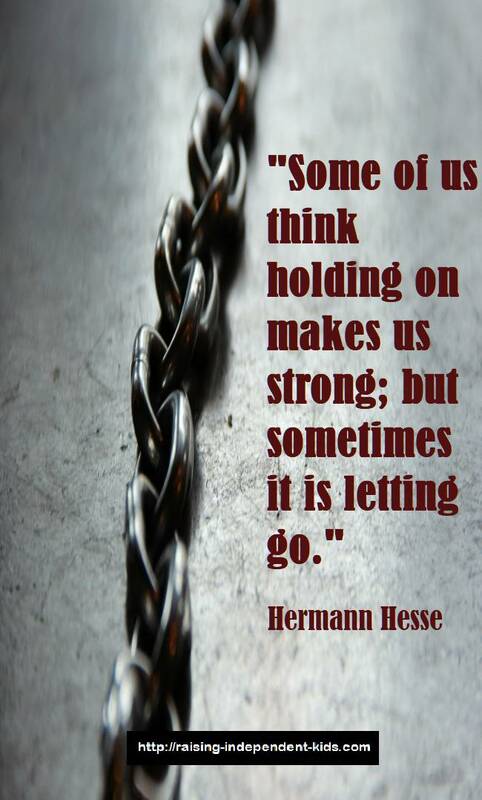 Hermann Hesse once said that some of us think holding on makes us strong, but sometimes it’s letting go that does. Recently published research supports this view. An increasing number of studies now suggest that focusing on one’s strengths will lead to greater success than forcing kids to consistently practice activities for which they have neither the skills nor the interest. Strength-based parenting is a relatively recent approach. It is an approach in which parents are encouraged to consciously identify their kids’ strengths and focus on cultivating those strengths. A recently published study suggests that we can help our kids improve their resilience and reduce their stress levels by adopting a strengths-based approach. 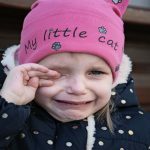 According to the study, this approach helps kids learn to draw on their personal strengths to cope with stressful situations and leads to higher levels of life satisfaction. It also helps kids learn to deal with conflict in socially appropriate ways, limits kids’ aggressive behaviors, and leads to better academic performance. 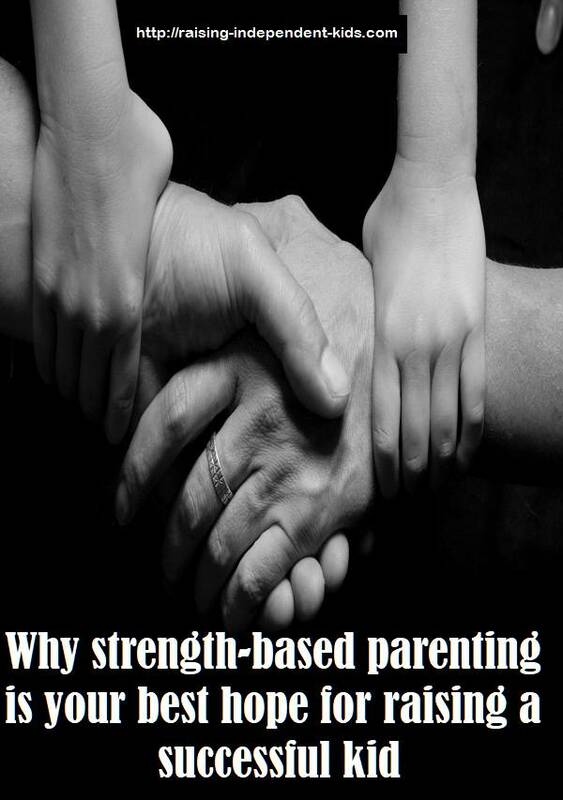 Other studies on strengths-based parenting have come to similar conclusions. For instance, evidence suggests that there is a strong link between adolescents’ personal strengths and their academic performance, behavior, and overall wellbeing. 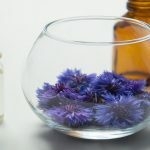 Recherchers have also found that while strength-based parenting will not necessarily “cure” all cases of anxiety and depression in kids, it can help reduce these symptoms. 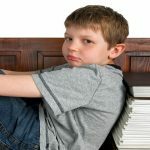 All these studies suggest that when we use effective strategies to nurture kids’ self-esteem, we help reduce feelings of helplessness and provide them with important resources. 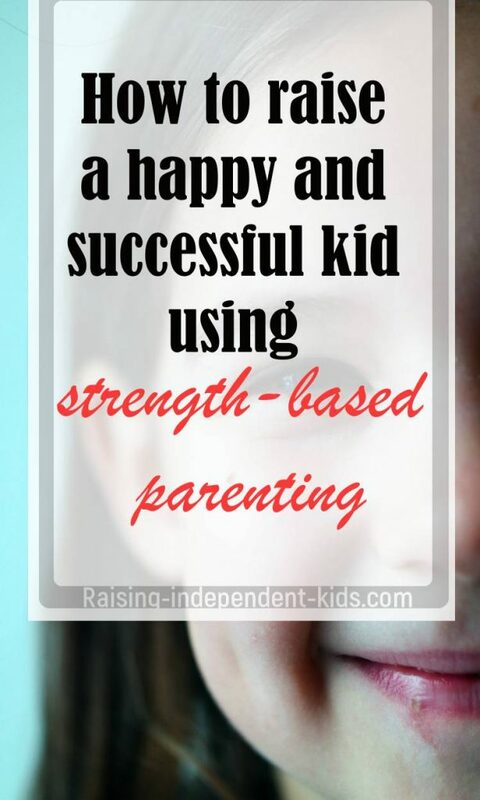 Here are a few tips to keep in mind when adopting strength-based parenting. According to Mary Reckmeyer, the author of the book “Strengths Based Parenting ”, when we dwell on our kid’s weaknesses and our desire to fix what we believe is wrong with our kids, we prevent them from developing their innate talents. She argues that pushing kids to perfection in areas where they are less inclined means striving to live according to others’ standards. Understanding that each of our kids is unique helps reduce the peer pressure to produce “standardized” kids. 2) There isn’t one right way to parent. Mary Reckmeyer argues that just as each kid is different, each parent is also different. The author encourages parents to discover and embrace their own parenting style. According to her, the things that matter to us rarely change over time. In other words, the things that come naturally to us such as feelings and behaviors rarely change and we can thus identify and focus on our inclinations and interests. Being aware of our strengths as parents is an important but often ignored aspect of parenting. StrengthsSpotting refers to repeatedly observing young kids to discover how they react in different settings. For example, if your kid seems to be drawn to certain activities (interest, concentration, satisfaction) or easily picks up certain skills or activities, those skills or activities probably reflect where his strengths lie. According to Mary Reckmeyer, the earlier parents recognize their kids’ abilities and encourage them to pursue activities they’re good at, the greater will be the satisfaction for both parents and kids. Older kids (ten and above) can benefit from the “StrengthsExplorer” assessment (10-to 14-year-olds) or the “StrengthsFinder” assessment (over 14). 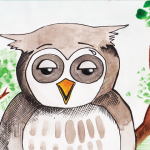 The objective of these assessments is to help kids identify their key talents. Although your kid’s self-esteem will improve when everyone acknowledges that he’s the “Minecraft expert”, the world will require him to possess more than Minecraft knowledge. Kids also need to develop math, language, and social skills among others. Strength-based parenting advocates using kids’ talents and interests to motivate them to learn other skills they might be less good in. For instance, if your kid is social, encouraging him to practice guitar with a friend could motivate him and get him to a point where his guitar skills are okay, albeit not necessarily perfect. 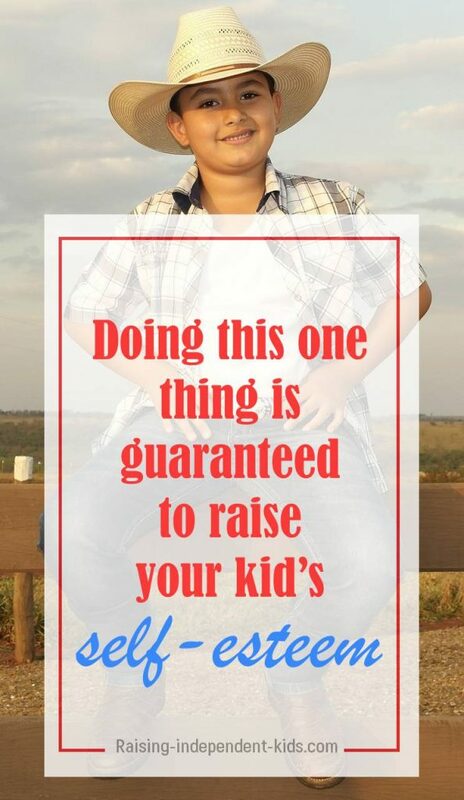 In other words, there are multiple ways to keep your kid motivated. Remember, though, that strength-based parenting is not about transforming struggles into strengths. According to Lea Waters, positive psychology Professor, we can help kids be more aware of their strengths by writing them a letter in which we tell them about the strengths we see in them and how these strengths will not only help them cope with difficult situations but will also help them thrive during good times. Writing a strengths letter isn’t the only way to build kids’ strengths. Regularly telling kids the things you appreciate in them can help them develop their sense of self. Remember that our words become kids’ inner voice. 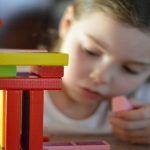 Once you’ve identified where your kid’s strengths lie, you need to provide unstructured but stimulating environments in which she can practice. For example, if you’ve noticed that your kid is good with her hands, providing craft or recycled materials she can work with and a space in which she can make art helps build her strengths. If your kid is a reader, providing opportunities for him to read, for instance, a calm environment, can help him practice reading. If you haven’t identified your child’s strengths yet, make a conscious effort to determine where his strengths lie. Observe the things he likes doing and the activities that he is willing to persist in or those that have a calming effect on him. Raise your child’s awareness of her strengths. Talk to her about the things she does really well. Write her a strengths letter. Make a conscious attempt to invest in your kid’s strengths. Remember that investments do not necessarily have to be costly. Kids can do great things even with recycled materials. 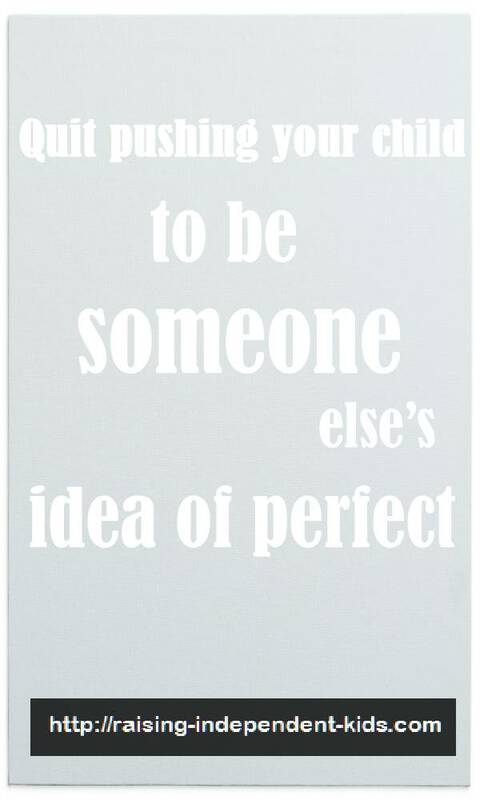 If you’ve enjoyed this post, you’ll love my Workbook “This is what it takes to raise a happy and confident adult. 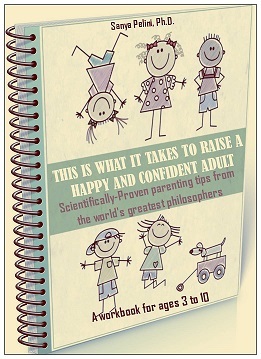 Scientifically-proven parenting tips from the world’s greatest philosophers.” This workbook draws on ideas and resources from research and the world’s greatest philosophers to bring you strategies you can start using immediately. Check it out here.